Is your child playing video games instead of doing schoolwork? Is he avoiding social situations—and is his behavior worsening as a result of constant gaming? I’ve heard the desperation and concern in the voices of many, many parents whose kids seem to spend all their time playing video games. If you’re worried about the amount of time your child spends gaming, you’re not alone. Indeed, it is a frequent topic that we hear about from parents in our Parent Coaching calls. What’s more, in 2010 the Kaiser Family Foundation surveyed 2,000 children ages 8-18 in 2010 and found children’s screen time totals an average of 7 hours and 38 minutes per day. Do the math: that’s more than 53 hours per week in front of a screen—more than a full-time job! But understand that even if your child is playing a lot of games and gets angry when you set limits, it doesn’t mean he has an addiction. In fact, while there is much buzz about “video game addiction” these days, it’s not yet recognized as a true disorder by the American Psychiatric Association. In this article I discuss how you can set some limits on your child’s gaming. I also give you some simple guidelines to help figure out whether or not your child’s video game use could become pathological—or in other words, unhealthy or addiction-like. Finally, I’m also going to reveal some well-kept secrets your kids don’t want you to know about their game systems. You’re going to love it, although your kids may not! As a parent of a child who plays video games, computer games, or games on handheld devices like cell phones, it’s important to take a look at your child’s overall functioning at home, at school, in their social circle and their mental or psychological functioning. First, let’s take a moment to consider some positives about video games: Some games are educational, some promote physical activity, and when played with others games can help children develop the skills of sharing and cooperation. Video games can also foster resilience and they can even help to strengthen children’s problem-solving skills and patience in challenging situations. Your child’s life seems to be dominated by video games. They seem to be his only motivator and occupy the majority of his thinking. He talks non-stop about video games when he’s not playing them and spends a lot of time learning about them or planning his next opportunity to play. Your child’s social interactions inside and outside of the home have been negatively impacted—friendships seem to have dwindled, your child has withdrawn from social activities he used to enjoy, and family relationships are strained or suffering because of your child’s video game use. Your child’s grades are failing or his hygiene is chronically neglected because of his video game use. Stopping video games for any reason has a long-lasting negative impact on your child’s emotions. He becomes depressed, moody, angry, aggressive or violent when he is unable to play. Your child has stolen video games from stores or friends, or stolen money from others in order to buy video games, more than once. He frequently lies about how much time he spends playing video games. So what can you do to limit your child’s video game playing and create healthy boundaries around it? For some of you, this will be more challenging than for others. Some kids are much more deeply involved with video games and setting limits in these cases will be harder. 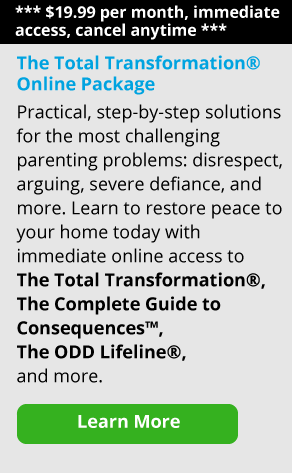 If most of the above examples sound like your child, or if your child becomes destructive, aggressive, threatening or violent when you try to enforce or set limits on their gaming, it might be helpful for you to talk to someone in your area who can work directly with you and your child as you make changes. This might mean talking to your child’s pediatrician or working with a local therapist to determine what kinds of changes are appropriate, how to respond to negative behavior, and how to effectively enforce your limits with your child. The American Academy of Pediatrics recommends limiting video games to one hour per day. And while it can be tempting to dramatically cut back your child’s access to games, or want to remove them from your home altogether, it might be more helpful to start off slowly. Let your child know you are starting to question whether video games have a place in your home because they seem to cause a lot of problems. Offer a couple specific examples, such as “When I tell you it’s time to turn them off, you use abusive language. And, your grades have gone from B’s and C’s to D’s and F’s since you started playing _______.” Let your child know that instead of getting rid of the games right now, you’re going to try a new rule first—and that their ability to follow that rule or not will help you determine if the games stay. What will we see if this is working? What will we do if this is working? What will we see if this is not working? What will we do if this is not working? Work together with your child to find a new technique he can use to try to shut down the video games in a much more timely fashion. For example, maybe you discuss the idea of your child avoiding certain more engaging games at certain times, or set up a reward system for turning the game off when a timer goes off. Also consider how your child can cope with the unpleasant feelings caused by stopping the game, or discuss what other fun activities he can do if he’s bored. Talk these things over with your child to help him be successful. Let’s face it: the user menus on these games are often not very easy to use. But, I found that most of these companies have websites with instructions for setting up parental controls. And get ready for this, parents: did you know that Xbox is equipped with a family timer? You can program the console to shut itself off after the allotted gaming time has been used up for the day! Here are some links to some websites for more information about parental controls. If you find the instructions on the web hard to understand, call the company’s customer support phone number for more assistance. If you’re dealing with an Apple product, stop in to your local Apple store for support. We’ve already talked a lot about setting up some clear structure for your kids—limiting their time on games or having a clear off-time, with some logical consequences or rewards. Some parents also find it helpful to establish regular “family time” during which you do something as a family and there are short-term consequences for not participating. You could also require your child to participate in some sort of group activity once per week, such as a sport, club, or youth group. The key here is to let your child choose the activity. Until they choose an activity, you might restrict their game use on the weekends to encourage time with friends. Once they choose and begin an activity, let them know they don’t get any access to video games at all that day if they don’t attend a scheduled practice or meeting. 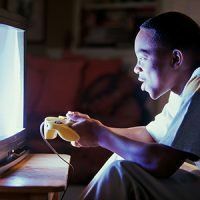 Perhaps the trickiest thing of all is that there is no cookie-cutter formula to determine how much video game time is too much, or what limits and consequences are appropriate for your child. Every child is different. Some children are able to shift into a different activity more easily, while others are more vulnerable targets for the highly rewarding design of the games. In the end you just have to trust your gut and go with what feels right for your family.